Ever since I’ve found myself working in the online environment, and having done all my previous work on-premise, it seems I got almost addicted to various kinds of diagrams. This seem to be the only way I can even start to understand what’s happening in the PowerPlatform world. Not sure if it’s for better or worse, but, possibly, you’ll find it useful, too. 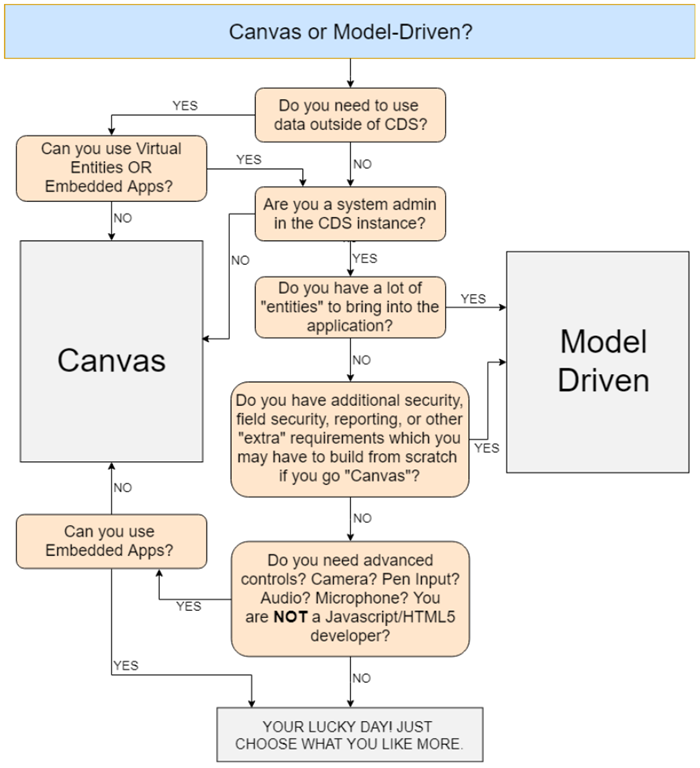 See, what if you wanted to explain the difference between Canvas and Model-Driven apps to somebody not familiar with one or both types of those apps? This is what the diagram above is all about. 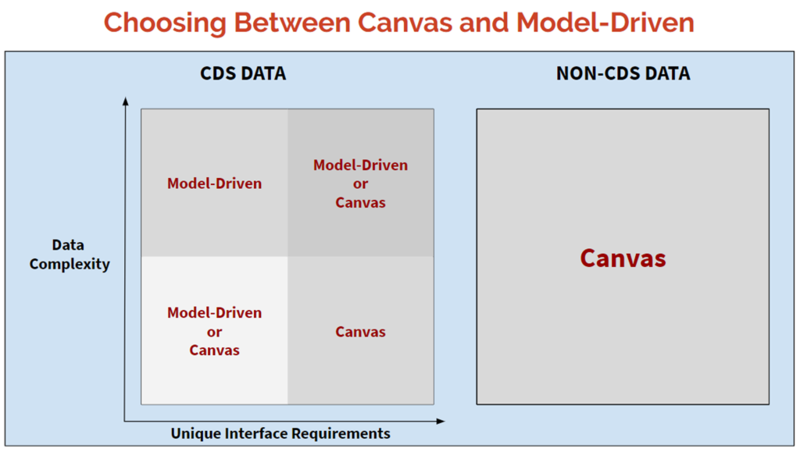 First of all, there can be no talking about model-driven apps without CDS. 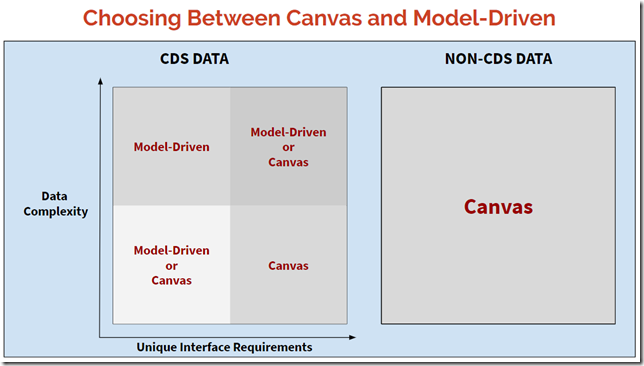 But, when the data is in CDS, you can think of it as of a square where model-driven applications are better suited for complex data, and canvas apps are better suited for unique user interfaces. I talked about this diagram in the Episode #2 of This or That, just could not get rid of the feeling that a more high-level view was still missing. So, hopefully, it’s good enough now. In addition, do ensure that the licensing side has you covered. Model driven apps can only be accessed by users with PowerApps P2 license or a full Dynamics license.